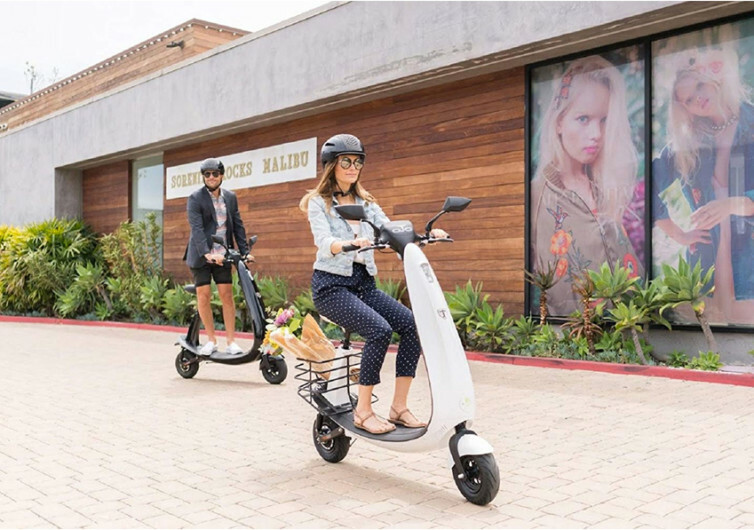 With agility, style, and comfort providing the impetus for its design, the OjO Commuter is a revolutionary piece of electric scooter technology that successfully marries beauty with strength. It is without a doubt strong; yet it also has the sexiness of a modern-day socialite on 2-wheels. The first thing anyone notices about the Commuter is its unusual design. 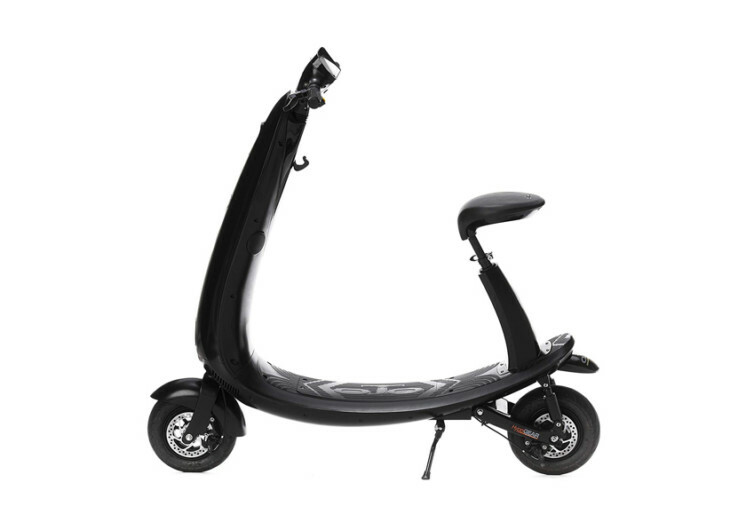 It has a very sleek profile from upfront, eliminating the flaring that most scooters put onto their steering column hiding it from view. It follows a tear drop shape, bulbous at the base and a bit tapered on the section where it meets the handlebars. 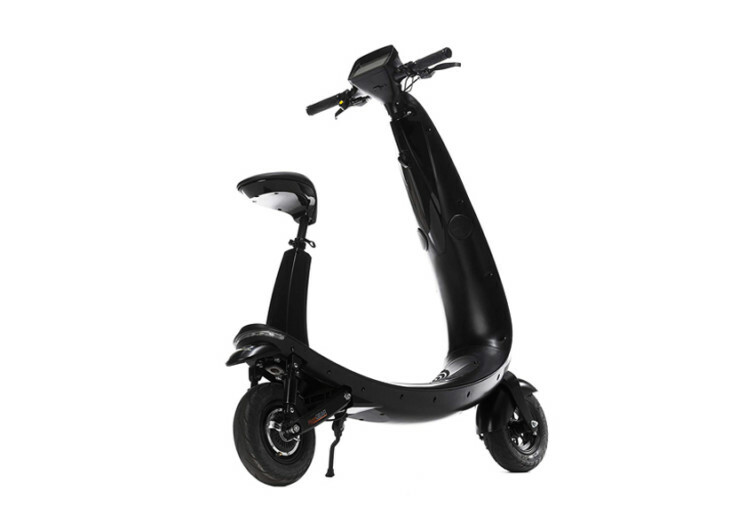 From the side, the Commuter continues with its elegantly curved design, creating a visual that looks more like a boomerang from the handlebars widening at the base of the front wheels before tapering out again towards the rear. It’s full of curves. 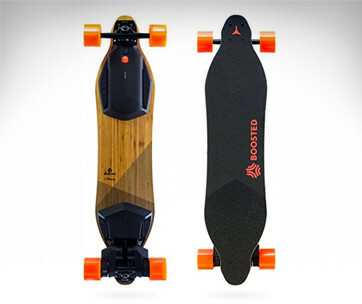 Even the deck comes with an unusual concave shape instead of the typical flat deck designs. 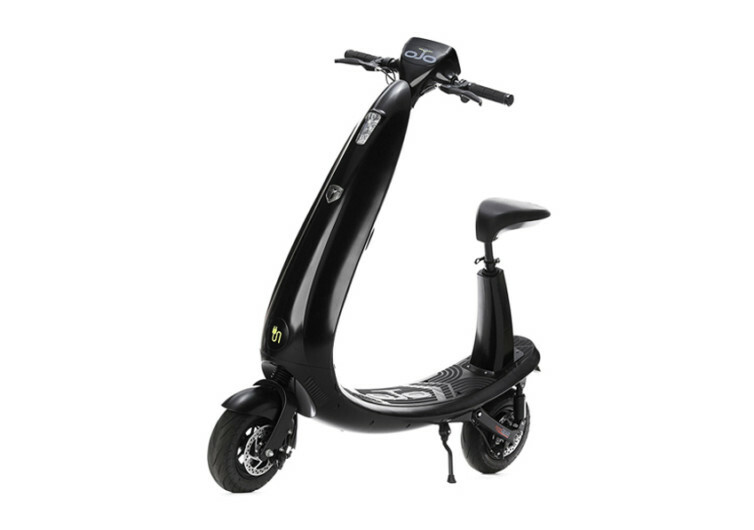 The handlebar comes with an integrated user console that features an innovative voice response technology, panic and alarm buttons, and key fob power controls. There is also high-fidelity, waterproof, dual integrated Bluetooth speakers allowing you a more pleasing, more personalized ride. Forming the frame of the Commuter is premium-grade aluminum, fully welded to give it strength as you take it to its top speed of 20 miles per hour while giving it exceptional lightweight characteristics that won’t be a pain to carry onto your Prius. 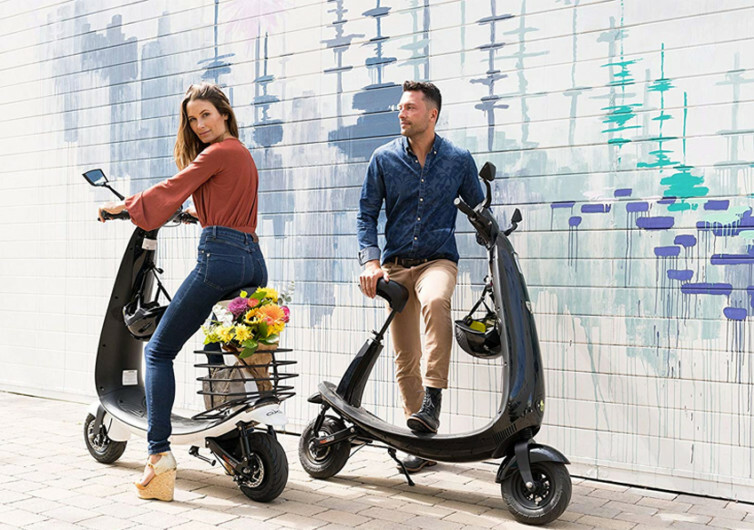 Get a 300-lb individual ride the Commuter and it will still give it a go, although you might not really be able to achieve its max 25 mile range. Still, it should still be a pleasant ride since the Commuter is approved to be taken on bike lanes. 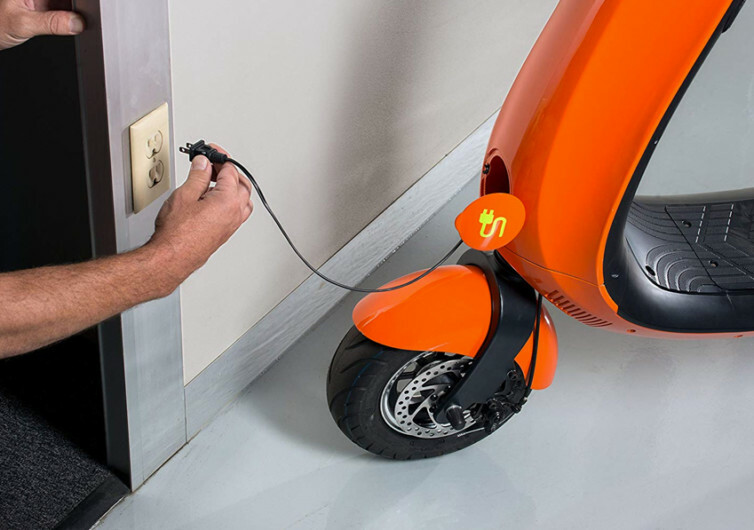 The road-hugging tubeless tires mated to a pleasant suspension system gives you a scooter ride like you’ve never experienced before. The disc brakes up front and back are responsive enough to let you take full control of any stopping situation. 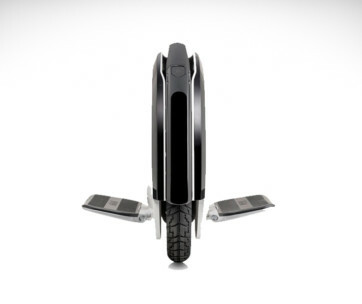 The OjO Commuter redefines the daily commute. 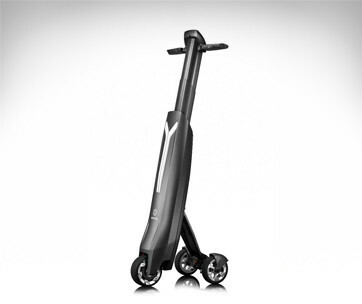 It’s chic and stylish yet performs way better than other scooters.